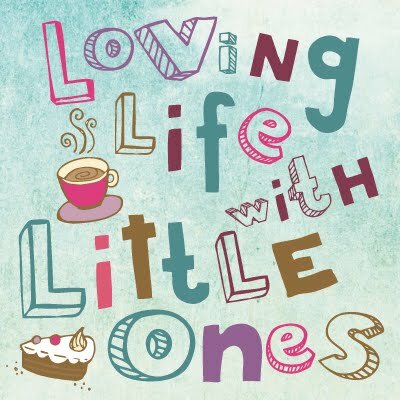 Loving Life with Little Ones: What's the matter, baby? Little 3 didn't have the smoothest start in life what with his chest infection and extended hospital stay from inhaling meconium as he was born, the poor thing, but once we were home and settled things seemed to be going well. Then when he was 2 weeks old he began being sick during and after feeds (we are breastfeeding). Not loads but every feed without fail and for an hour or so after too. He also began to scream randomly during feeds, and I mean scream, full on sweating, red face and white frightened eyes kind of crying, and sometimes for a time after the feed too, I could tell he was in pain, it was horrible to see him doing it and all I could do was try to console him until it passed, which thankfully was usually only around a minute each time. I didn't know what it was, maybe wind or colic, could it be reflux or something else? It didn't seem to be wind though as he always gave a hefty burp after a feed with relatively little effort on my part. I bought some Infacol as we had used it with the girls when they had trouble getting wind up but it didn't help him and just made Little 3 sicker so I didn't use it long. Little 1 had colic when she was a newborn and would cry relentlessly all evening drawing her knees up in pain and then fall asleep finally with exhaustion. Little 3's symptoms were different and didn't seem like colic, it happened every feed, day and night and only lasted a minute or so and he didn't cry excessively at night either so I didn't think it was that. I took him to baby clinic and had a chat with the health visitor who suggested it could be reflux causing him the pain, although he wasn't being that sick she thought that stomach fluid was coming back up and causing him discomfort. It took 3 weeks to get to see the gp after talking to the health visitor, first being fobbed off by a triage nurse on the phone despite me requesting to be seen and then we saw another so called senior nurse who declared he probably had reflux but it wasn't that bad so she wouldn't prescribe anything to help him. Eventually at 6 weeks old we saw a gp who listened to me explain what had been happening the past month, he thought it was a combination of reflux and maybe colic and prescribed something to help with the reflux, as a starting point (I'm not sure he really knew how to help with the pain/screaming). It worked straight away and the following day we had a totally different happy baby, there was a bit less sick and surprisingly the screaming just stopped too. Unfortunately as a side effect of the medication Little 3 got constipated so we had to stop it after a few days. We expected that once the medication was out of his system the screaming would return but so far 3 weeks on it hasn't, something the gp found rather surprising when we chatted to him about it at our 8 week check this week. He now thinks that all the antibiotics Little 3 had when he was first born upset the balance of his digestive system and that he was getting some kind of stomach cramps when he fed. The calming nature of the medication he was given seemed just enough to settle not only his stomach but his gut too. Now at almost 9 weeks old feeds are much more pleasant and we are both happier. The sicking isn't as bad as it was, we have decided not to try other medication at the moment and although the sicking creates rather a lot of washing for me we are just glad that Little 3 is no longer in pain. Have you had a similar experience, I'd love to hear if other children who had antibiotics at birth suffered anything similar to Little 3. Oh bless him, glad that he's a lot happier now.